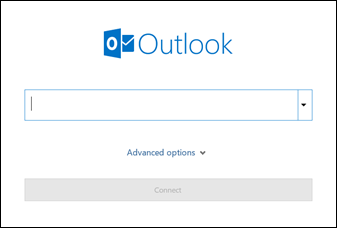 This document explains how to setup your Office 365 email account with Outlook 2016 with an existing email profile. 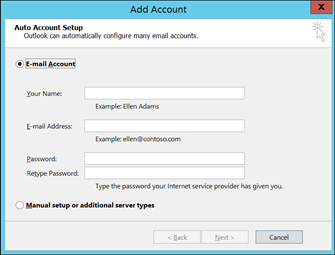 You can configure Microsoft Outlook 2013 or Outlook 2016 to access your Office 365 account by setting up an Exchange connection. 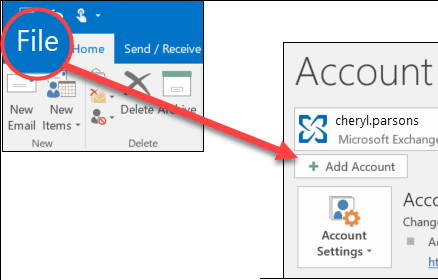 An Exchange connection provides access your email, calendar, contacts, and tasks in Outlook. 2. What you see next depends on your version of Outlook. Enter your email address and click Connect. Enter your name, email address, and password, and click Next. 3. If prompted, enter your password again, then select OK > Finish to start using your email account in Outlook.